Feast of the Visitation of Our Lady. Today we commemorate one of the most beautiful stories in all of the New Testament, the day Our Lady goes to visit her cousin Elizabeth. Mary had been told by the angel Gabriel that Elizabeth 'was with child,' and Mary had sat out at once to visit her kinswoman. For us, this is a lovely story of family intimacy and friendship; Mary is concerned for her cousin and goes to visit her. There is great celebration and joy as Mary arrives at Elizabeth's house; John jumps for joy in the womb of his mother. In all families there is something beautiful in the birth of a child. It is a time of great joy and blessing. In our modern society we would almost frown on the simplicity of Mary in going to her cousin and yet deep down we know that such a visit and gift of friendship is a wonderful thing. Mary did not need to go but she dropped all and ran to her friend to share her joy. We all have things to celebrate but we so often keep them to ourselves. When we enter the spiritual life we have touches from God and insights into our own lives and yet we often keep these to ourselves rather than share them even with our spouse. The joy of love and of life is to be shared and celebrated. 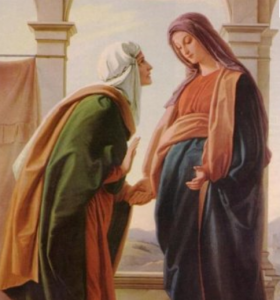 Some people say that Mary ran to Elizabeth out of shame at being pregnant before she was married. Such an attitude makes no allowance for the strength of Mary as a person and shows no understanding of the natural desire to share joy. In our own lives, particularly with those closest to us, we should share our joys, hopes and fears. This sharing of our inmost feelings builds up family and friendship. When we refuse to share our stories we cut the world off, when we take the risk we build the world up. Mary took the risk of sharing her joy and what a wonderful story we have had to tell ever since! Sometimes called Bede the Venerable, this Doctor of the Church was born near the monastery of Wearmouth in the year 673AD. As a youth he entered the monastery and stayed there all his life. He was ordained a priest and even in his lifetime he renowned for his holiness. 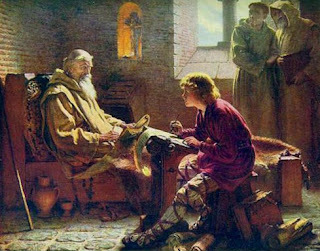 The Venerable Bede was a scholar of note and wrote the Ecclesiastical History of England. This work is important because it records the setting up of the church in England shortly after the arrival of Augustine of Canterbury in about AD600. Augustine was sent by Pope Gregory the Great to evangelise England. A couple of things that I have read in the Venerable Bede’s work have fascinated me. The first is the writing on the Magnificat and its use in evening prayer, ‘from ancient times’ says Bede. This means that even then the evening prayer of the church had more than a passing resemblance to the present day. The second is his martyrology or list of feasts. In it the feasts from Christmas Day to New Year are the same as they are today, and St Patrick’s Day is already given as March 17th. As an Irishman this is important to me! The Venerable Bede’s tomb is at Durham Cathedral, an old Augustinian Monastery which was taken over by the Church of England at the time of the Reformation. It is well worth a visit. The Office of Readings today for the feast contains a reading from the letter of St Cuthbert on the death of the Venerable Bede. It tells how even on his deathbed the saint was still dictating to his secretaries. The story is well worth reading and you can find it on Universalis.com. Ecclesiasticus is full of sound advice for living. Today the author speaks of the different kinds of friends and how we should test out friendships and not jump in too quick too soon. What we really have in this first reading is a lesson in prudence. Prudence is waiting on God to reveal his will rather than us rushing in and working on our emotions. Being driven by emotions causes us so many problems. We all have the desire to be liked and loved and often we throw caution to the wind and end up making a fool of ourselves. While being afraid to risk anything is not good and shows that we are operating out of fear, too much haste in friendship is not good either. What really amazes me is that human nature never seems to change; in this past 3000 years we appear to have learned nothing. The author of Ecclesiasticus could come back today and see the same problems in people's lives. The cardinal virtues of justice, temperance, fortitude and prudence may sound out of date but they are anything but it. They are still a sure foundation for a happy life. Both today's readings are full of practical advice and warnings. In the first reading the author of Ecclesiasticus tells us not to put our hearts on money or to think of ourselves as self sufficient or to follow blindly the desires of the heart. This is a foolish way to live, he says. 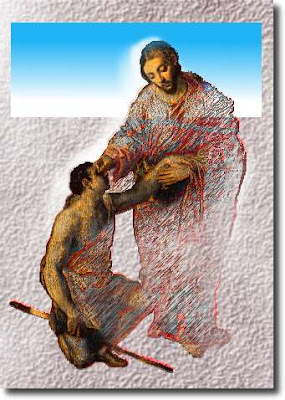 In the gospel, Jesus tells us to cut off the hand or foot that causes us to sin. A bit melodramatic but what Jesus is saying is that anything that causes you to move away from God, cut it out of your life, you are better without it. When we start to think about it, there are so many things that lead us on to sin. One of the big flaws in most of us is that feeling of superiority and revenge we get from harbouring a resentment; the feeling of power is quite alluring. Another is the justified anger that comes with non forgiveness, especially when we have been wronged. Idle gossip that so easily turns to malicious gossip--now that's a big one. Jesus tells us to stop these things the minute we see them rising in our hearts. He calls on us to be constantly vigilant. But we are lazy and let our minds drift and we seldom try to keep it in check. That's what Jesus is talking about today. The first reading from the book of Ecclesiasticus is a hymn in praise of wisdom. We are told to seek her and cherish her, but we are never told exactly what wisdom is. We are assumed to know. True wisdom is being for not against him. This means that when we come to a situation in our lives we consider what God is saying to us and what he wants us to do in the circumstances. When we consider what we want we may be on the right path, but often we shall be ruled by selfish desires and fears. We are to find God in everything. Seeking God in everything is the use of wisdom. When we do this, says the writer of Ecclesiasticus, wisdom reveals herself to us. Wisdom takes on the aspect of a person, it becomes a person within us. 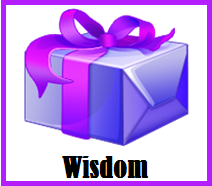 For the Christian wisdom is one of the gifts of the Holy Spirit, and it is an aspect of the person of Jesus. "My son, if you aspire to serve the Lord, prepare yourself for an ordeal." This is from the book of Ecclesiasticus, the first reading today. In the Old Testament people had to find God. Finding God required effort. The gospel shows the other side of the coin. 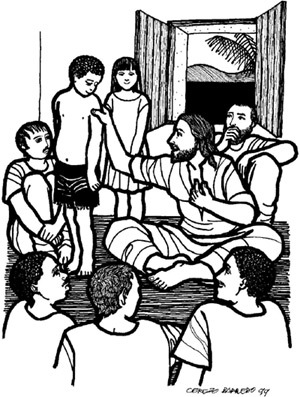 In the New Testament, Jesus is 'instructing his disciples' directly. He is teaching them as they walk along. Before Jesus, it was a matter of finding God somehow, now, since Jesus has come among us, God teaches directly. There is a huge difference in emphasis, so why do so many people still have difficulty finding God? Jesus gives us the answer in the gospel: we have to be open, like children, to the teaching of God. Once we begin to get sophisticated like adults, and want proof and to be shown God's love before we will accept it, then God draws away as he did in Old Testament times. 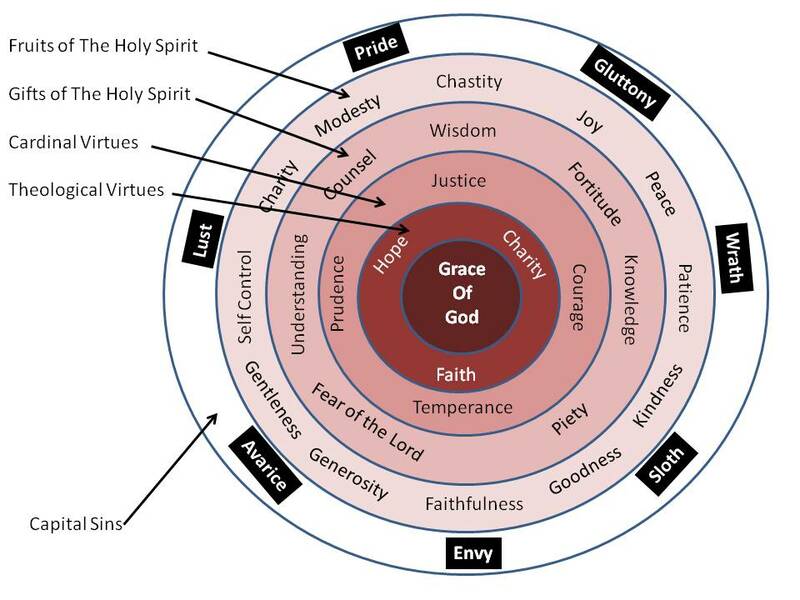 The proper attitude to learning about God....one of humble childlike trust. Today we return to Ordinary Time and we begin again at Mark chapter 9. You can imagine poor old Peter standing shamefaced in front of the Lord, like a schoolboy caught smoking. Then the father of the son gives all of us the real sign of faith; when Jesus says 'all is possible for the person who has faith'; the father of the son with the evil spirit replies, "Lord I believe, help my unbelief." In a story like this we see ourselves; struggling with the world and trying to operate on the little faith we have and always needing help from the Lord. The story hasn't changed much in 2000 years, but we keep on trying day after day. It is in the trying that God loves! The great feast of Easter is drawing to a close and the reading the church gives for today is the ending of John's gospel. John is the great theologian of the New Testament. His lifelong reflections on who Jesus was led him to the conclusion that Jesus was God and man. John was a young boy when he first was called by Jesus and it was to him that Jesus left the care of his mother. There is something special in John's writing; he shows a closeness to Jesus that reflects a strong personal as well as spiritual love. In today's reading John dispels a myth that has grown up about himself. Some people are saying that Jesus promised that John would not die until he returned. John says that this story is untrue. Then John goes on to give us some idea of the effect of Jesus on his life. He says that if everything that Jesus had said and done was written down that not even the whole world would hold it. I think John is here trying to convey to us something of the immensity of the personality and wonder of Jesus. Hopefully tomorrow, at the feast of Pentecost, the Holy Spirit shall touch us in such a way as to let us know in our own lives something of the glory of Jesus. 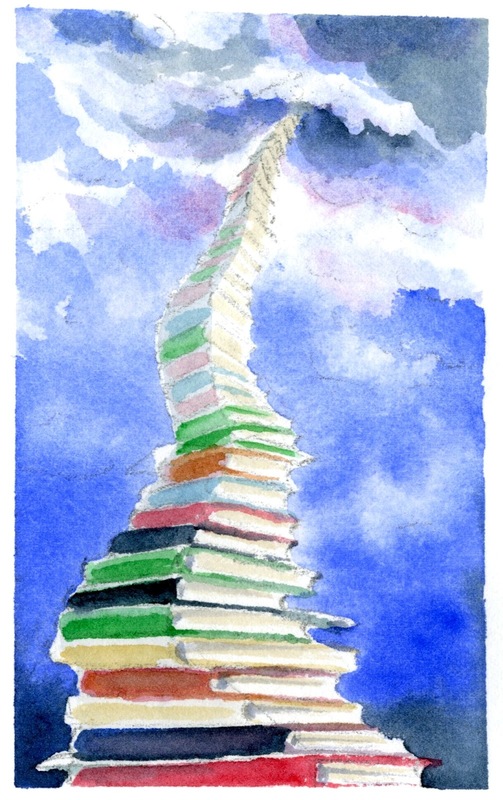 We are coming to the end of Eastertide and the readings are all drawing the season to a close. In the first reading we have the arrival of King Agrippa in Caesarea and his conversation with Festus who has Paul in custody. Paul has appealed to Rome and is awaiting transport to that city. The work of Paul and thus the recorded work of the Holy Spirit in the New Testament is coming to an end. Paul is getting ready for Rome where he will be beheaded. In the gospel Jesus asks Peter three times if he loves him. Most commentators hold that this threefold asking is to replace the three denials of the Lord by Peter. The season is coming to an end; the church is tying up the loose ends. There is a very important message in all this; in God’s kingdom there are no loose ends. When we are committed to Jesus there are no loose ends. Our life has purpose and meaning, it is not wandering about meaningless from one thing to another. All of this is reflected in today’s readings. to come into your life? As we approach Pentecost, the readings are full of two things: the work of the Holy Spirit and Jesus praying for us to be protected and to receive the Spirit. In the first reading Paul shrewdly plays off the Sadducees and the Pharisees. He knows the teaching of each side and points out his belief in the resurrection which the Pharisees agree. This ability to speak out freely about God and his work is one of the signs that a person has received the Spirit. God then calls upon Paul to witness to Jesus in Rome. Paul is unafraid and heads off to Rome in the manner that the Lord provides. The work of the Spirit in all of this can be seen clearly. In the gospel, Jesus prays for us. He prays that we shall be one, one with him and with each other. This is the great sign of Jesus to the world; that we are one, holy, catholic and universal church. We are many peoples and nations with one head, Jesus; we are joined in unity by the Spirit of love. This unity, which we feel most when we go on pilgrimage to places like Rome or the Holy Land, is a sign of the presence of the Spirit in the world. Pentecost is near. Are we ready for the Spirit to come into our lives?